Morgannwg is an English-language historical and archaeological scholarly journal, published annually, containing historical essays, archaeological reports and book reviews. It also contains society notes and meeting reports. Publisher Details: The Glamorgan Local History Society / Cymdeithas Hanes Morgannwg was founded in 1950, to promote the study of the history of the county of Glamorgan; in 1966 it changed its name to Glamorgan History Society. 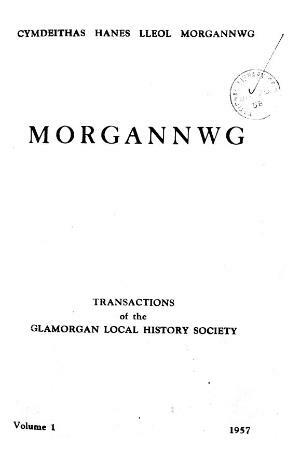 It has published Morgannwg since 1957.